Hailing from the suburbs of Tokyo, the ferocious quartet Taffy return with an intoxicating collection of B-sides and early material, ‘Plus +++’ is released on Club AC30 Records on June 23rd. ‘Plus+++’ is a kaleidoscope of fuzzed-up shoegaze pop gems offering up an unforgiving slice of indie. The lush sweet-pop vocals on ‘tune in a jar’ and ‘jolly orange’ against the full throttle bass, turbulent guitars and raucous percussion are as charming as their titles suggest. Cinematic love song, ‘kms’ boasts a powerfully hypnotic rhythm section reminiscent of John Murphy (28 Days Later). Originally a B-side to single ‘Flower Chain’, ‘theron’ captures vintage indie melancholy, channelling the spirit of Ride and Slowdive, setting the distortion to maximum. ‘Urseas’ is a relentless odyssey of heavy guitars and the upbeat ‘have u?’ has a sunny and seductive disposition. 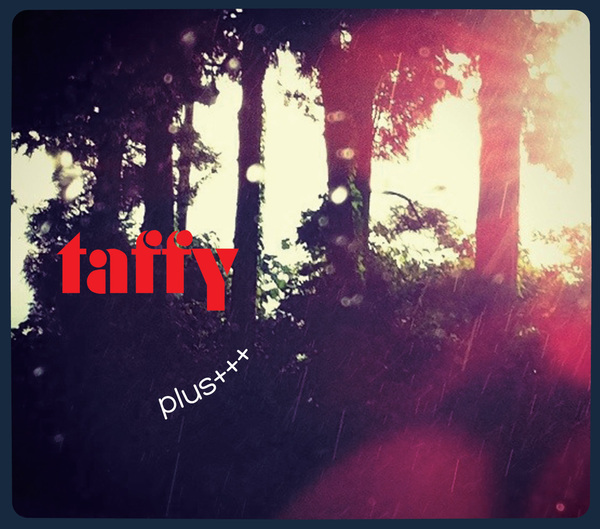 This catchy compilation packs a speedy forty minutes with nostalgic indie but its Taffy’s infectious combination of punk, grunge and shoegaze that makes them stand out from the crowd.